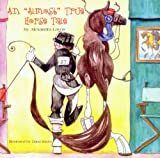 Saddle & Bridle Inc is a publisher of children's books. Books published by Saddle & Bridle Inc include The Missing Link, Timeless, and An Almost True Horse Tale. Main Address: 375 Jackson Ave.